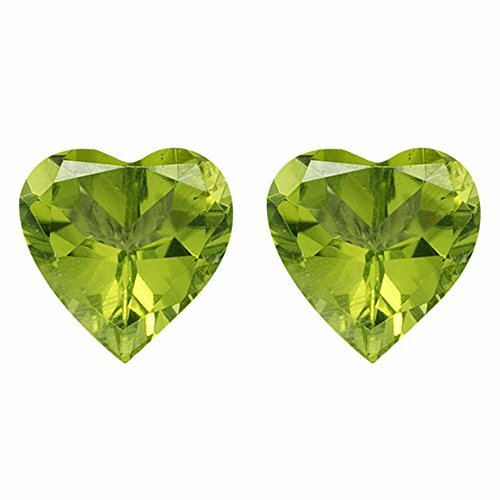 The loose pair of heart-shaped Chinese Peridot has the finest AAA quality bright green colored gems measuring 8 mm each. AAA Gemstones are Loop Clean Gemstones, with no visible Nicks, or inclusions. The color is even and consistent. Design your own ring or a pendant; buying loose gemstones is economical and allows one to create jewelry as per choice. If you have any questions about this product by Mysticdrop, contact us by completing and submitting the form below. If you are looking for a specif part number, please include it with your message.